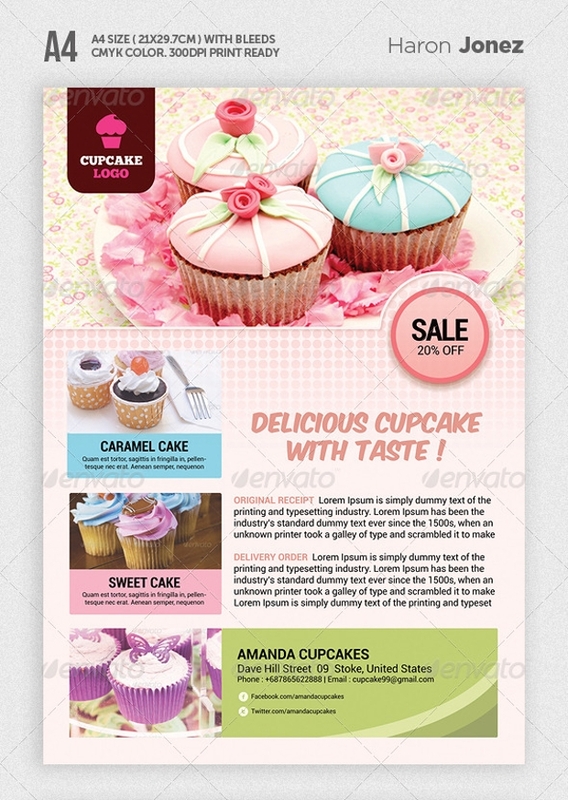 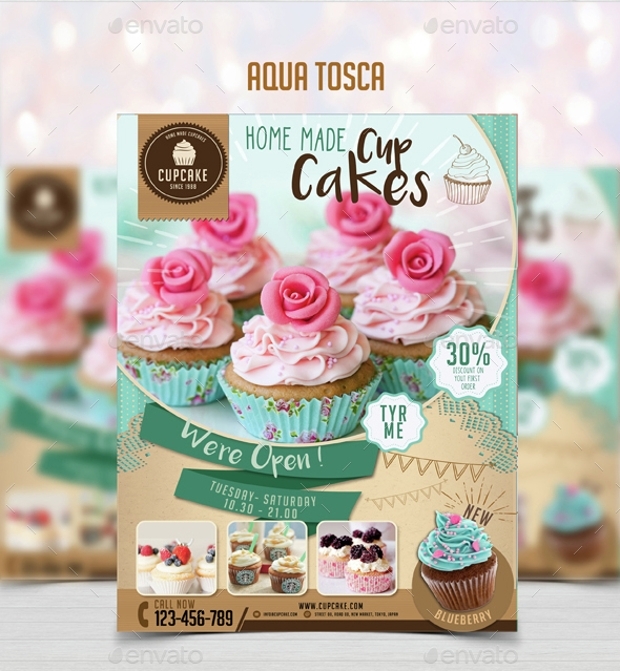 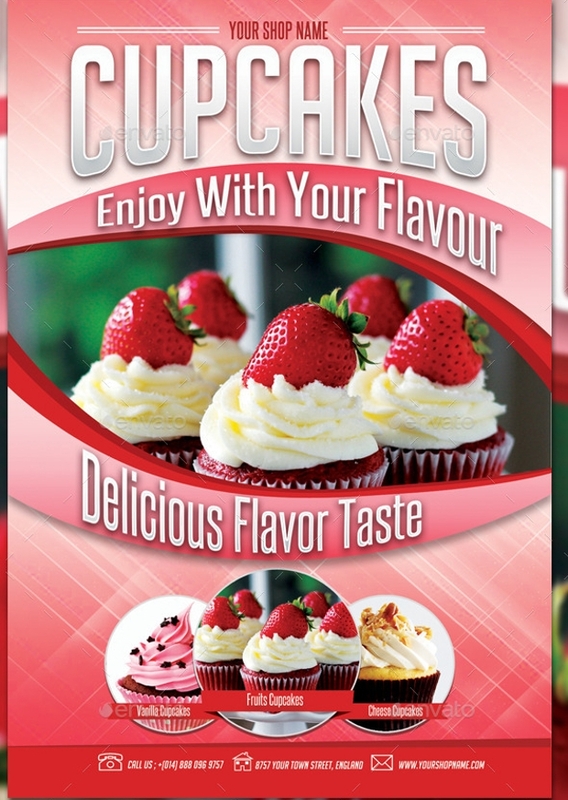 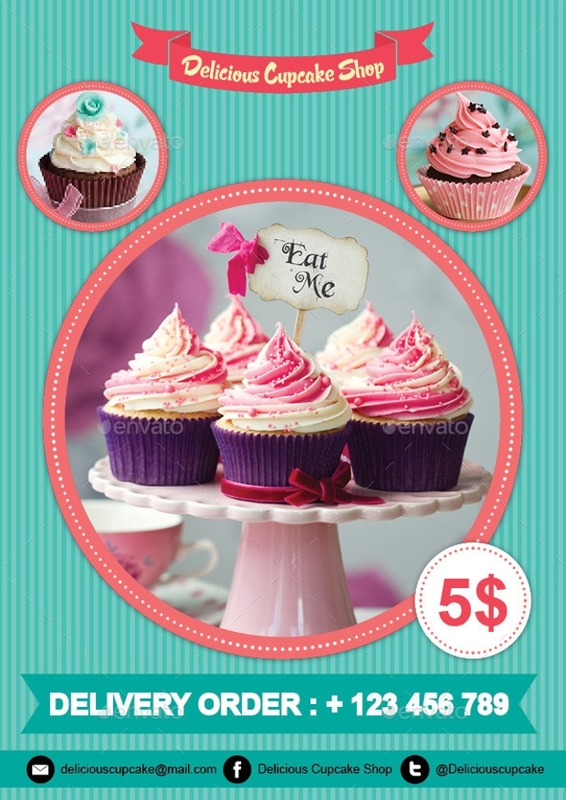 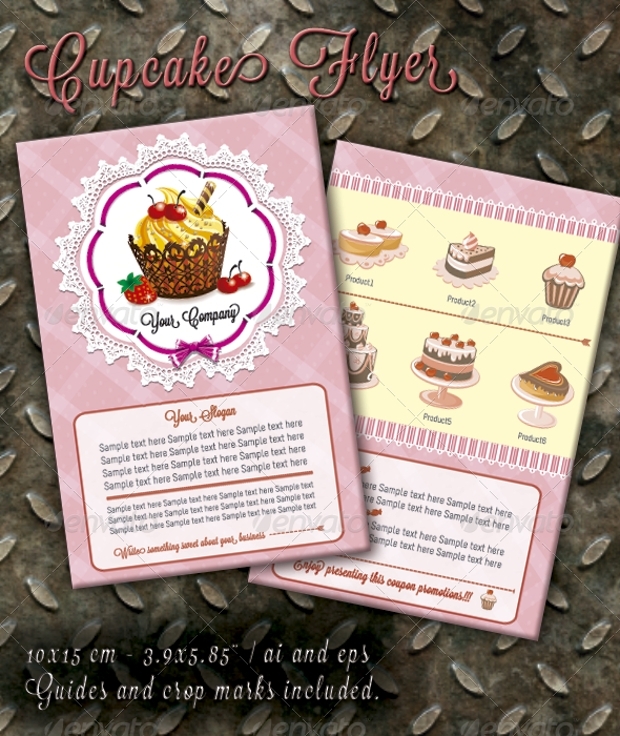 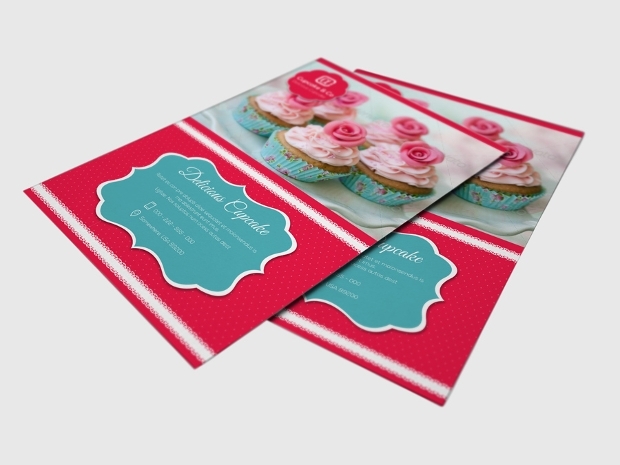 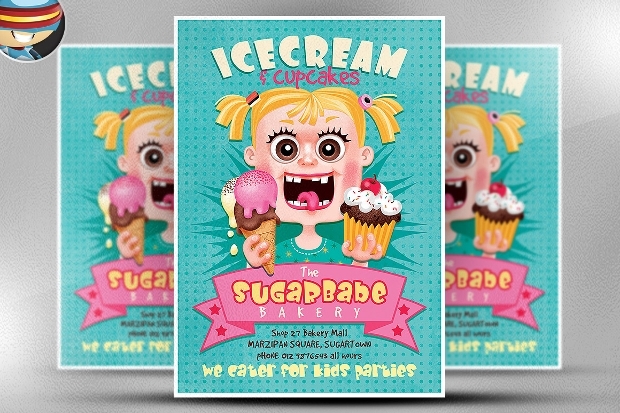 Baking cupcake is not an easy task but promoting tasty cupcake is now easy attention-grabbing cupcake flyers. 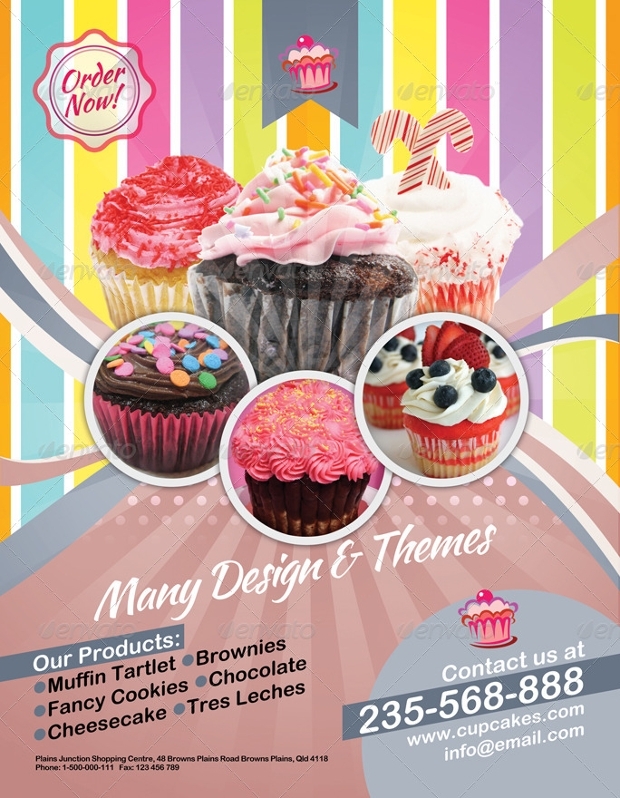 Here, we provide a good collection of flyer designs that features a different variety of gorgeous and lovely flyers. 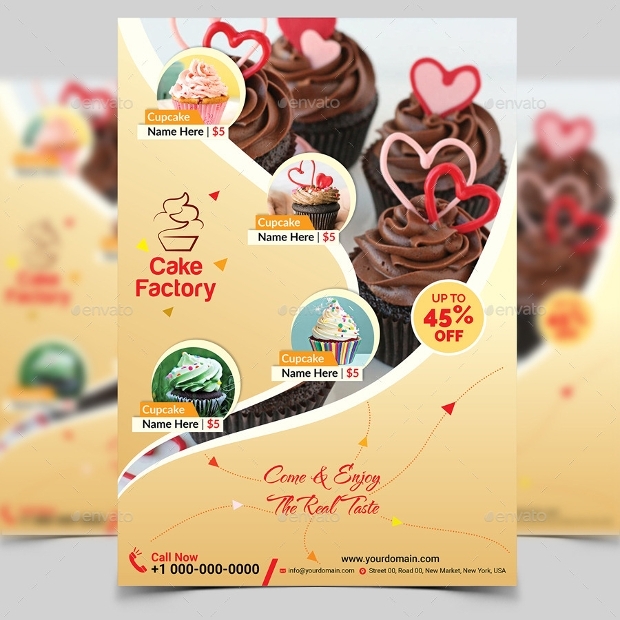 There is eye-catching flyer designs available in bright and dazzling colors, which can make anyone glance towards it twice with its attractiveness. 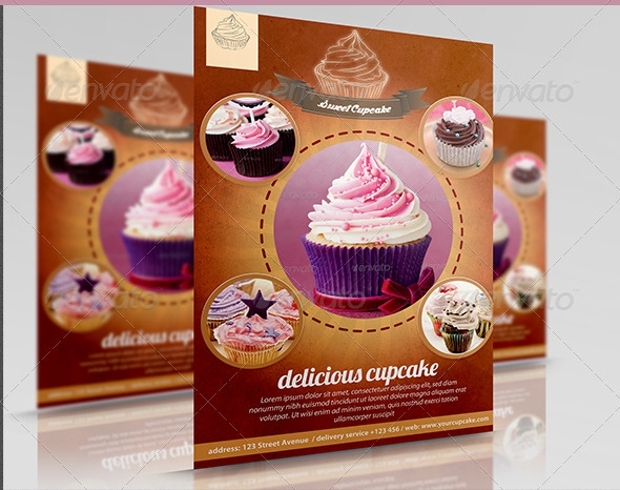 If you are planning to offer baking class tutorials that include cookies, cakes, cupcakes, etc, then these flyer designs will surely be of your great use. 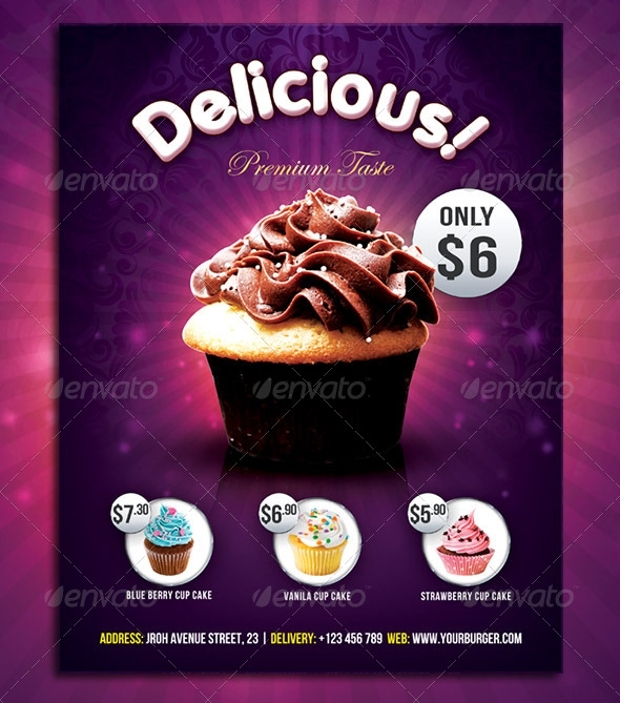 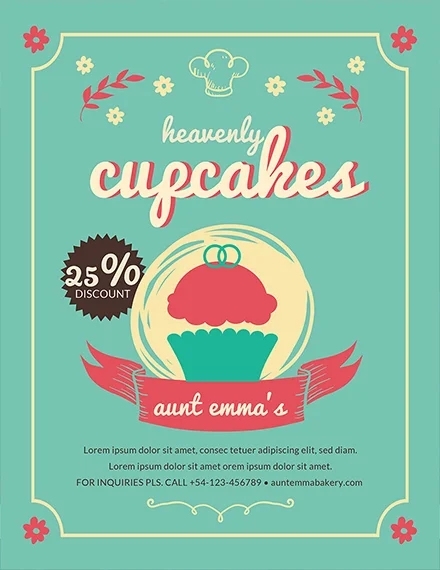 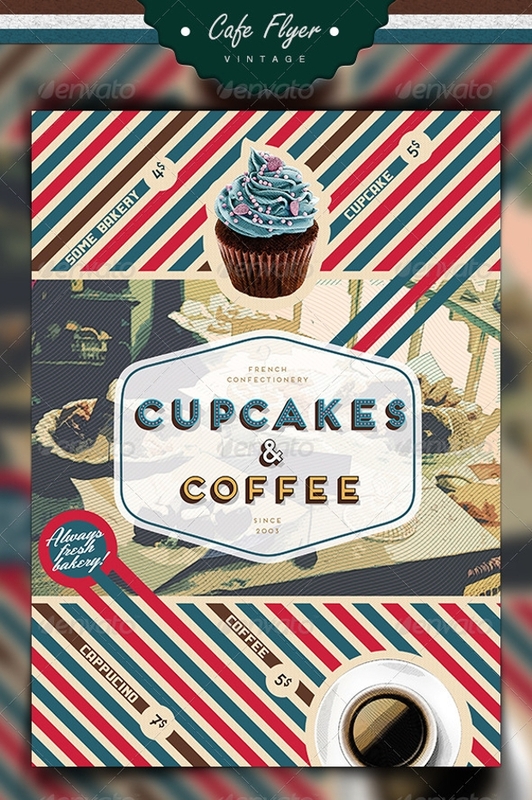 Most of these stylish flyer designs consist of elements such as images of cupcakes that makes the flyer look tempting and interesting. 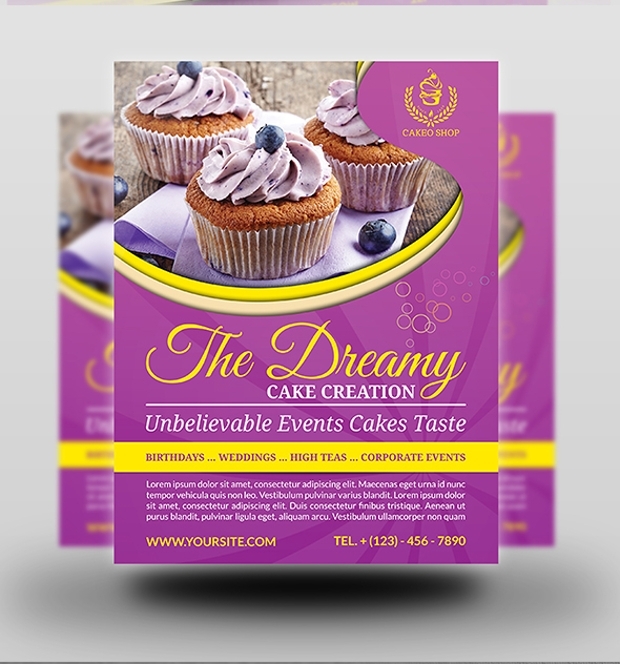 You can easily fit information like the venue, color combination, registration fee, intricate design of the bake items, captions and timing, all in one, on the PSD flyer designs. 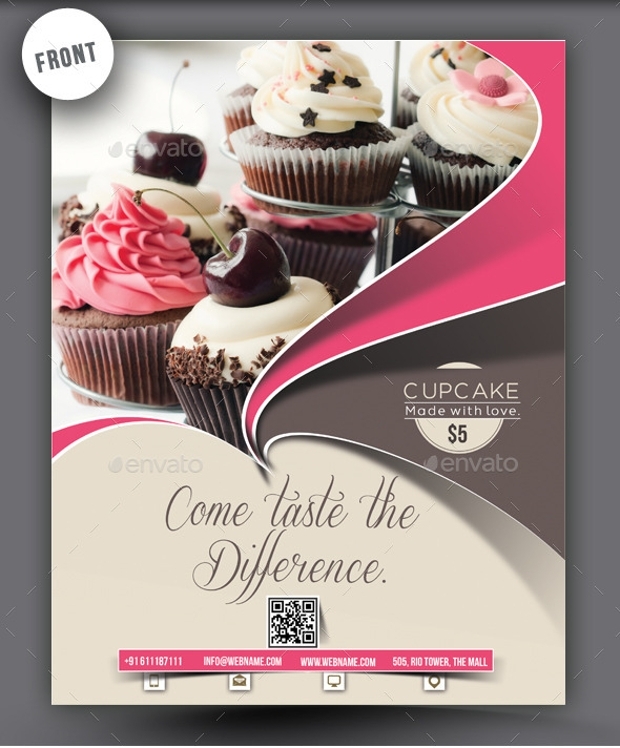 Since the flyer designs for events are editable, you can edit the layout to make it look the way you desire. 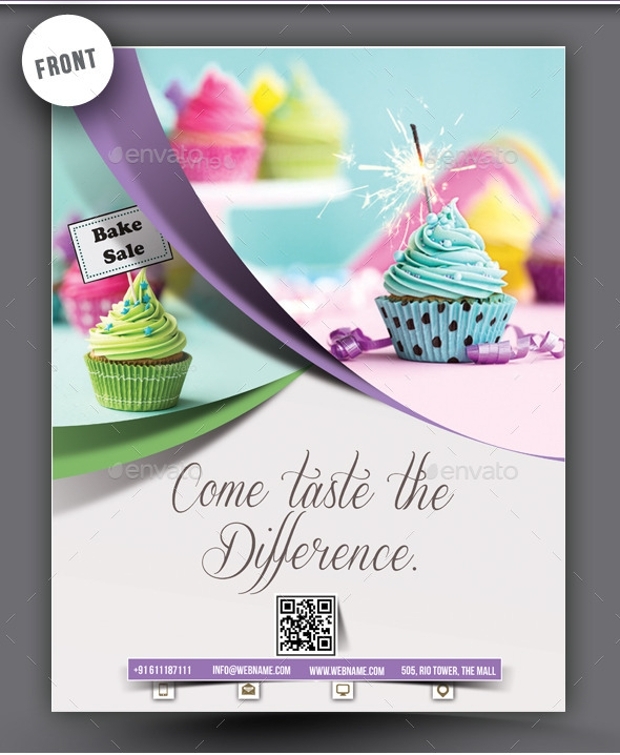 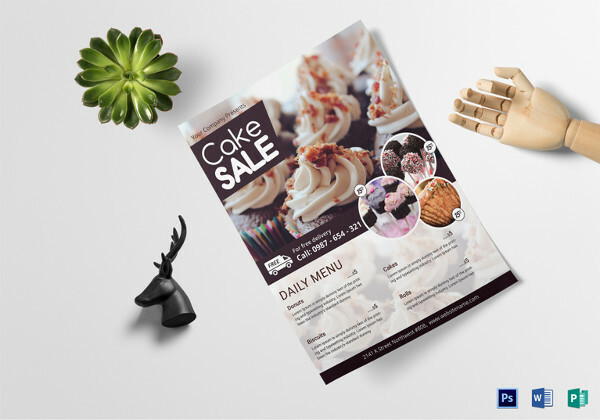 Download any of these flyer designs to advertise your baking class and you’ll see the results for promotion in short time. 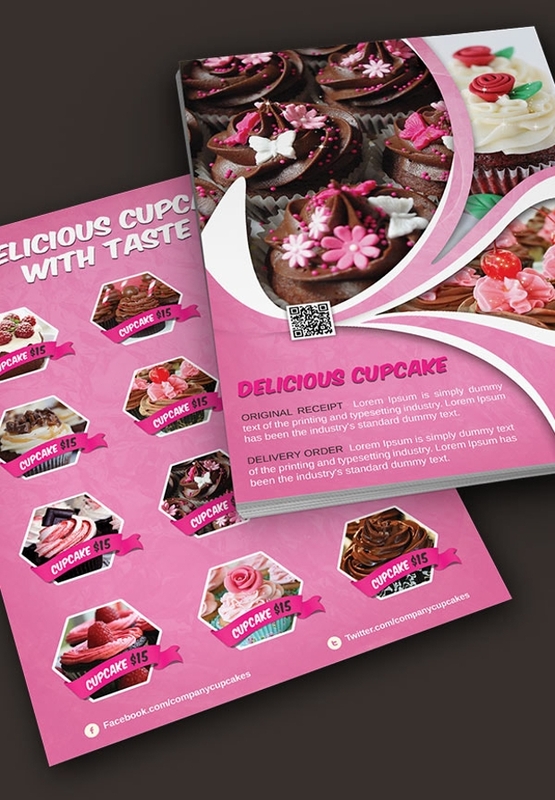 It is beneficial to target the areas where the female crowd is more likely to participate in such courses. 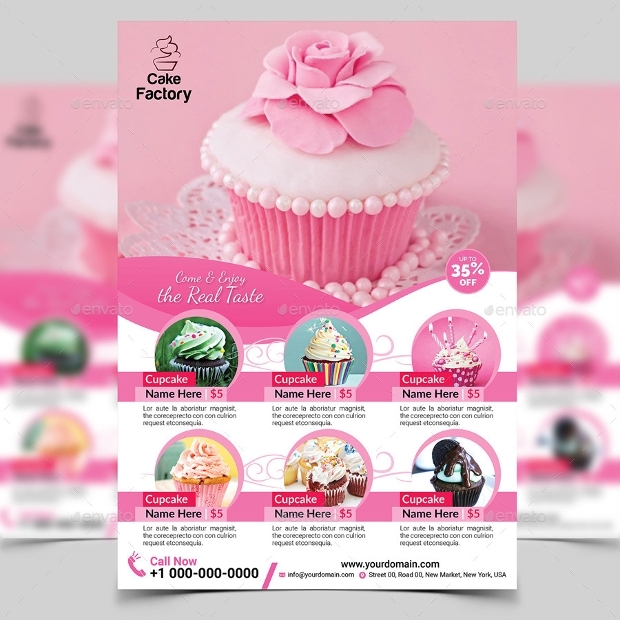 Therefore, distribute these flyers in beauty parlors, cosmetic stores, local markets, etc. 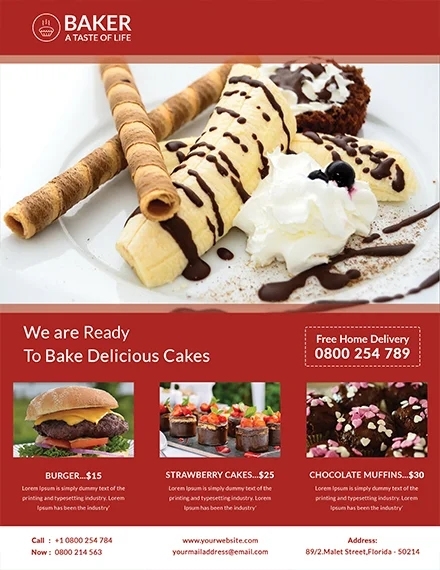 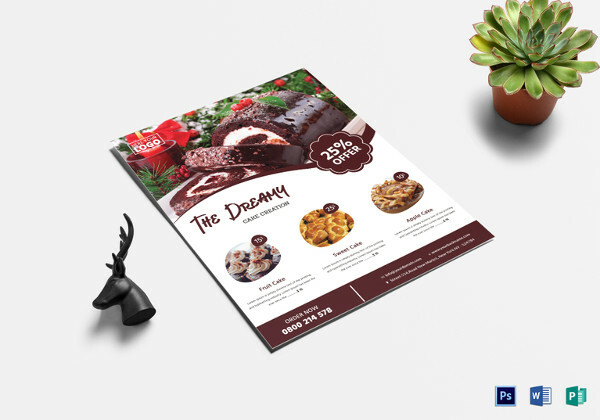 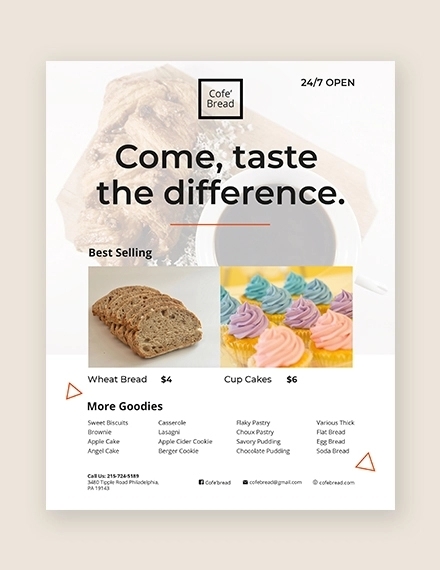 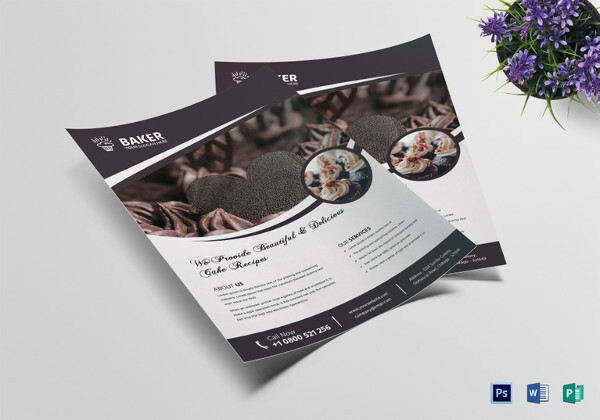 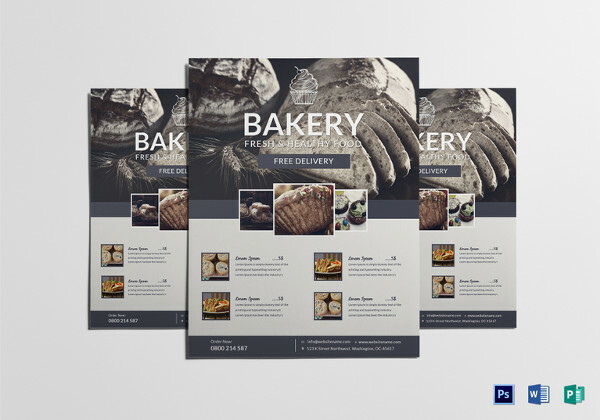 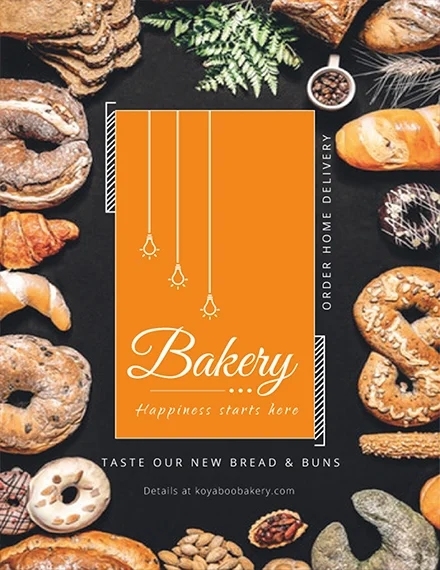 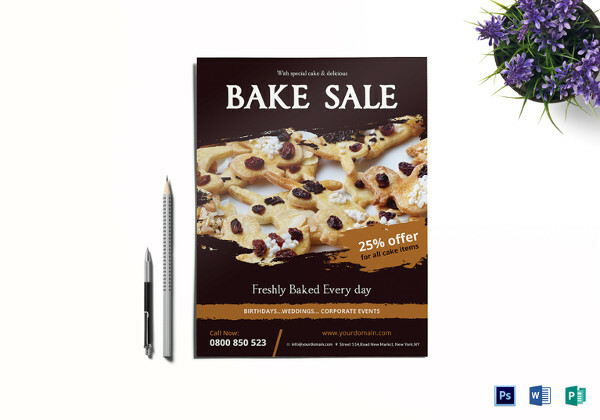 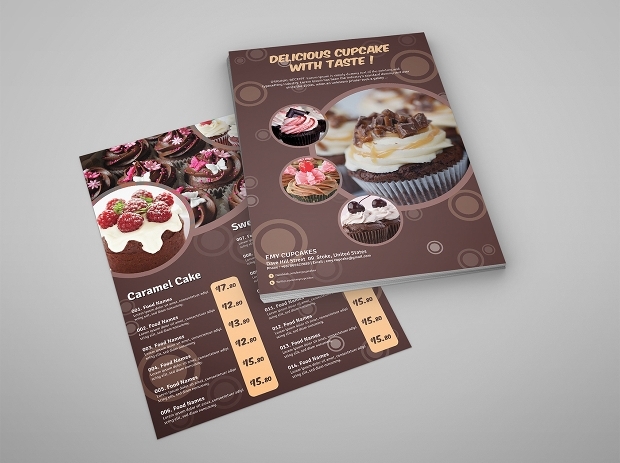 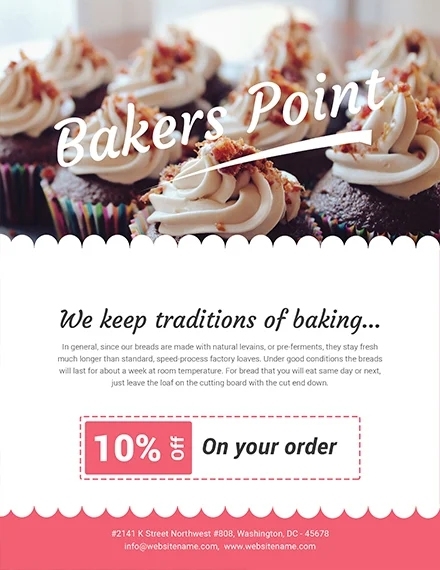 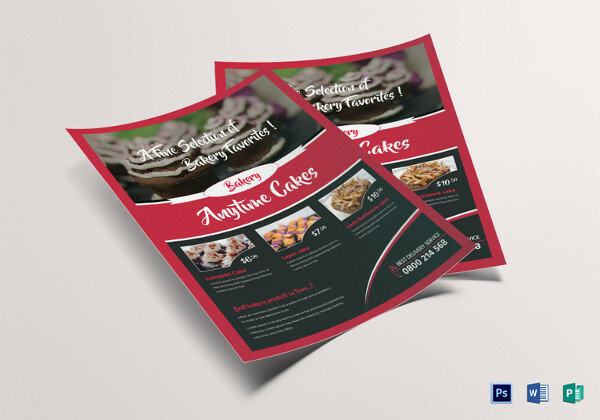 Even if you run a bakery, you can make most out of these flyer designs as it can be used to create the promotional material for the bakery. 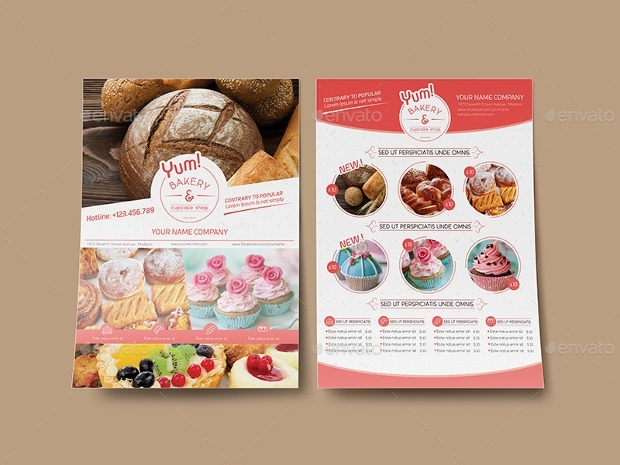 These designs can be used on websites as well, to showcase the menu and other detail of the bakery.